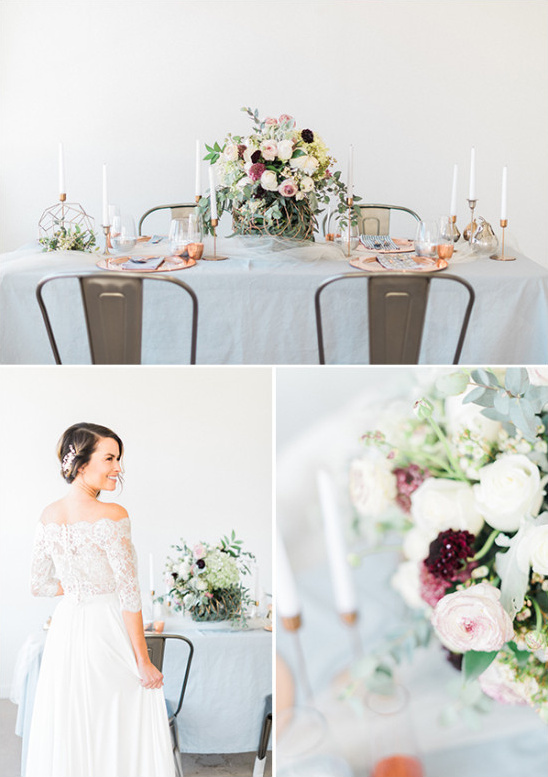 Decorus Photography and Blush & Bay want to throw a wrench in the typical Fall wedding color palette AND the typical wedding in general. 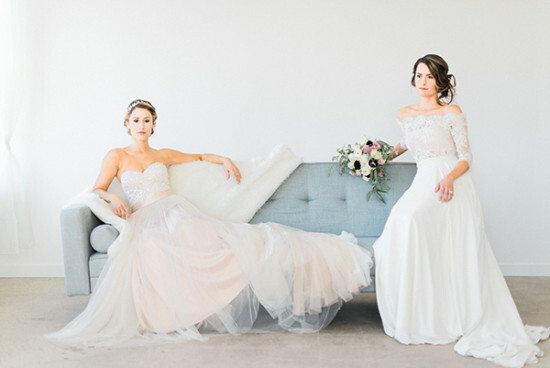 You and your bestie do everything together anyway, So why not plan your weddings together! 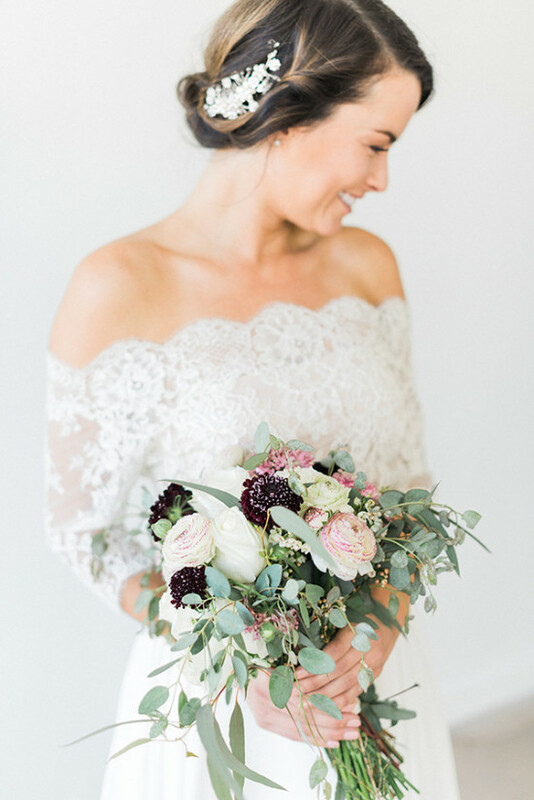 We are so in! 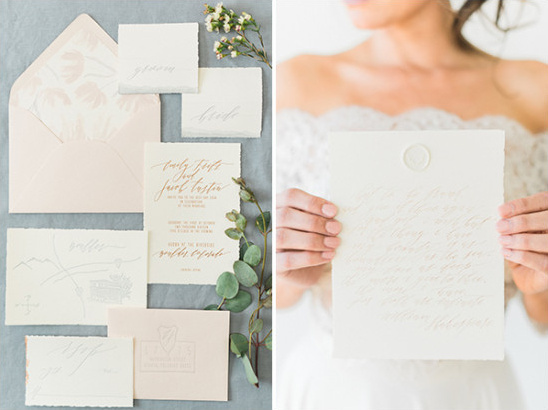 Keep scrolling to see more of these simple and romantic wedding ideas and to find out all about best friend brides. 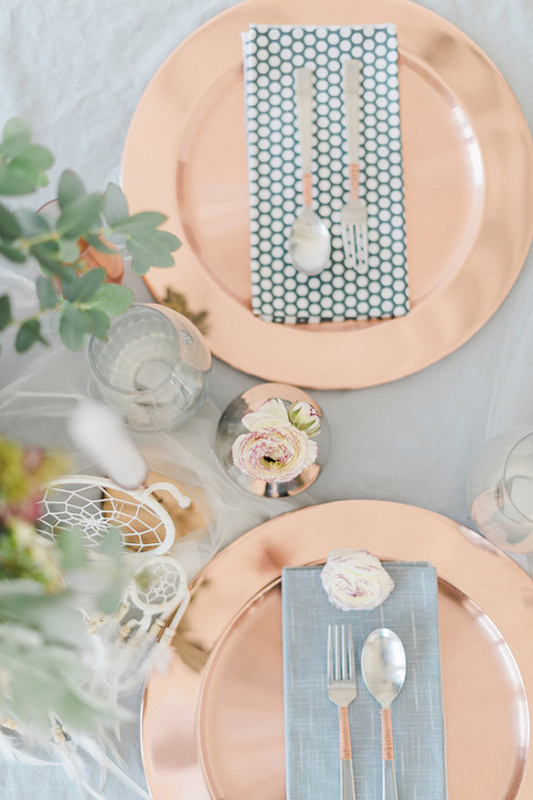 Oh and we nearly forgot to mention the best part! 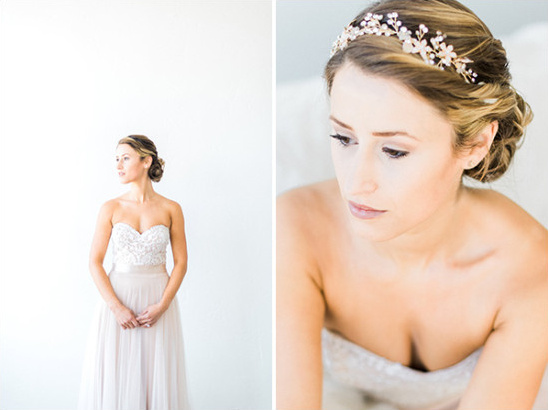 There's more to see and you can find it all in the full gallery here! 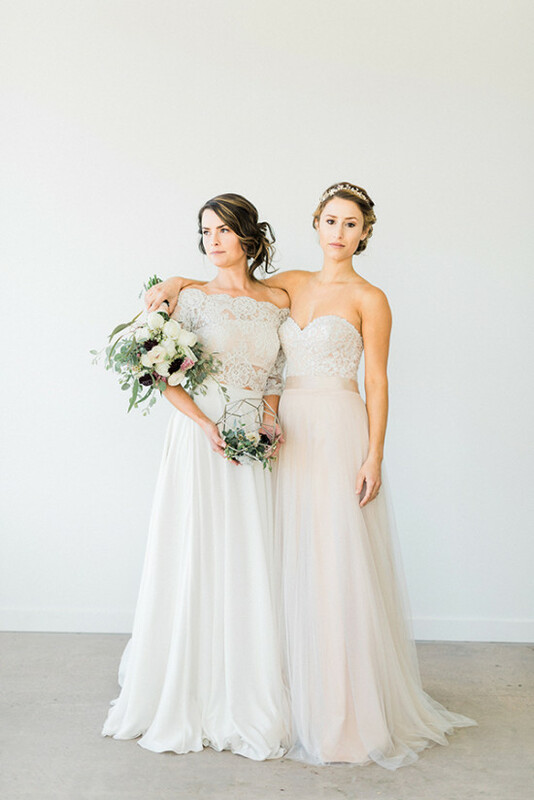 From Decorus Photography: Instead of one bride and her lady in waiting, our models symbolize two best friends, who by choice threw their weddings on the same day in order to share the best day of their lives with their favorite people. 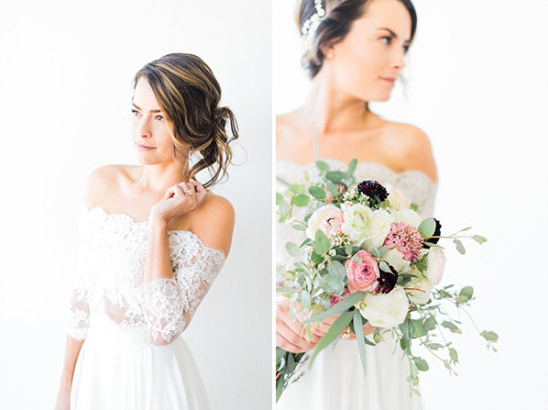 Because of their different styles, one classically delicate and the other tenacious, they don’t lose the attention that a bride on her wedding day deserves. Instead they, flawlessly, complement each other. 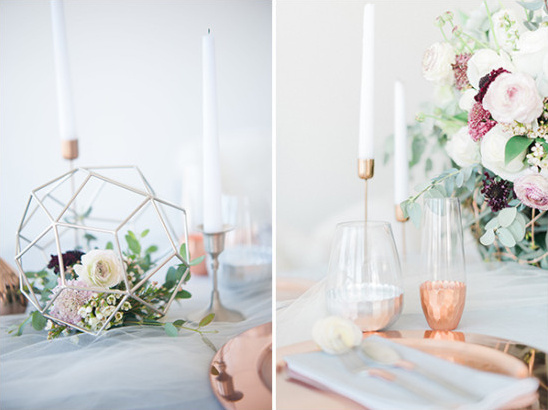 Kristina Svezintsev from Decorus Photography and Laura Shackles from Blush & Bay gathered inspiration for this shoot with a desire to create an alternative autumn color palette with an out of the box combination of dove grey and blush, which are typically seen in the spring. 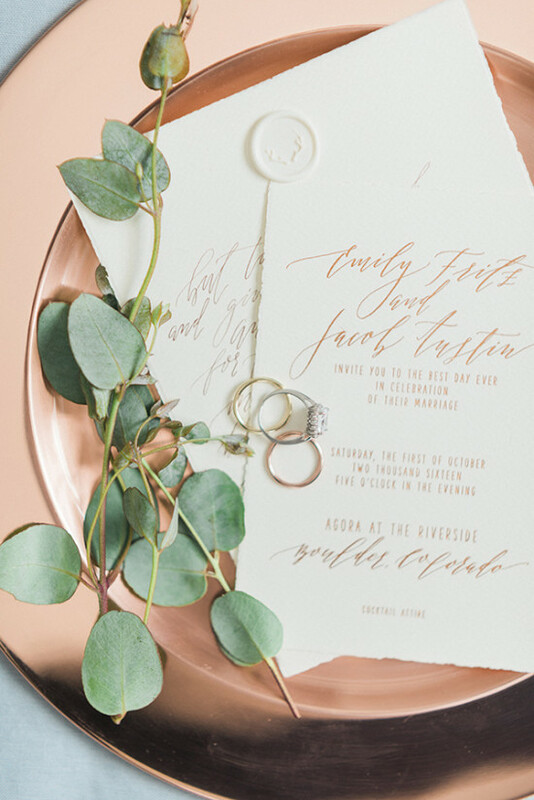 To “harden” the look, they brought in a mixture of metals with copper and silver accents in the chairs, silverware and tabletop décor as well as a beautifully foiled invitation suite, created by Jolie & Co. 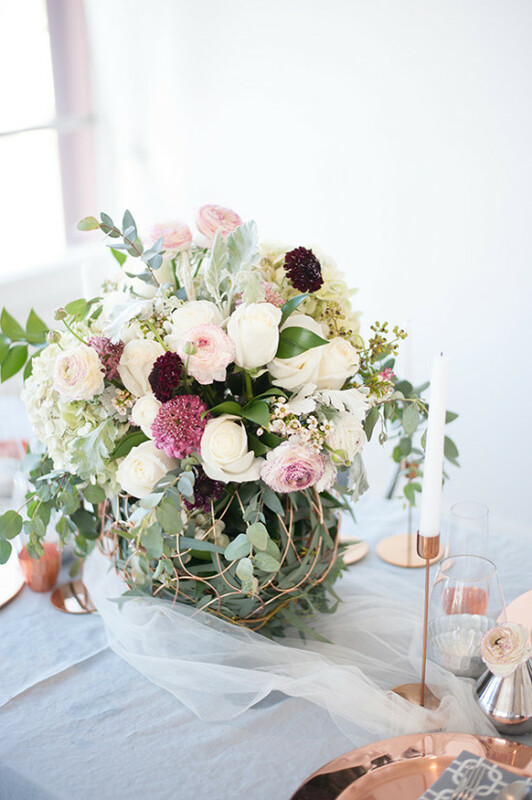 Instead of a traditional vase, Blush & Bay set florals in a unique copper basket and geometric orb, juxtaposing the loose and natural feel of them with modern shapes and texture. 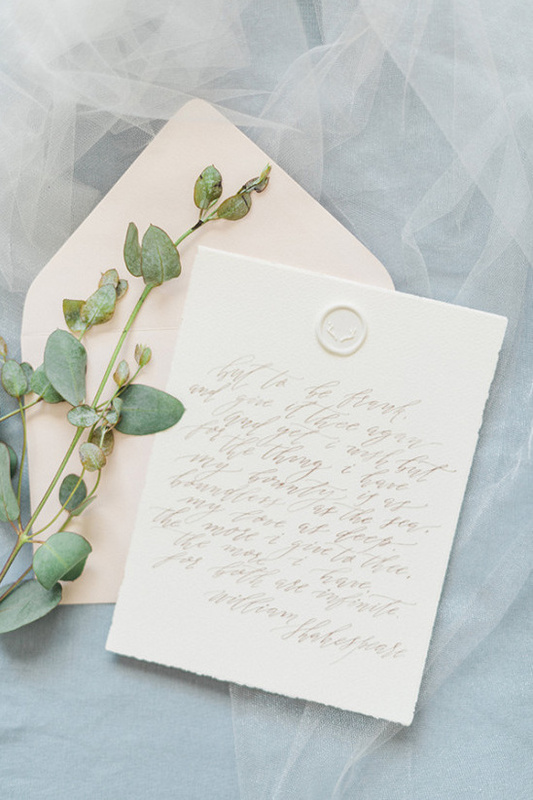 Paper Goods & Calligraphy Jolie & Co.